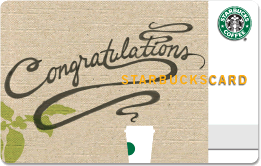 We did our drawing the other night for the Starbucks gift card, but we have yet to hear back from the winner. We sent an email, and had hoped to announce the winner today, but she’s not responding! I’m sending one more email, but then I’m not sure what’s next! What do you guys think? How long is long enough to give a person to respond before we choose another name? If I won, I didn’t get the email…. if I didn’t win then I vote for REDRAW! lol. If I won, I didn’t get the email…. if I didn’t win, then go ahead and redraw! Lol!